You will receive it every two weeks and hopefully, you will find it of value. 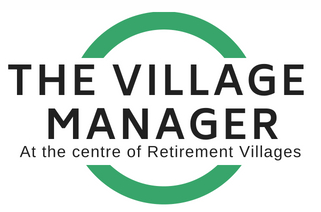 There are two people who are important in Retirement Villages – the residents and you, the Village Manager. You are the grease that makes things work. You are also the strength of the system. Others talk but the Village Manager has to deliver – every day. It is one of the most complex jobs imaginable – responsible for a hotel style business with say 100 guests – that never leave and are growing increasingly frail. And you are left largely on your own. With this newsletter, we will keep you in touch with the two to three issues every two weeks that affect you and to let you know you are not alone. There are over 2,000 Village Managers across Australia. This is not a heavy business newsletter – we leave that to The Weekly SOURCE (which I hope you receive as well). This will be just about the things we hear of as we travel around villages – and we hope you will contact us with your thoughts too. I have been to over 250 villages across Australia and still learning. “Thank you very much for this new item.